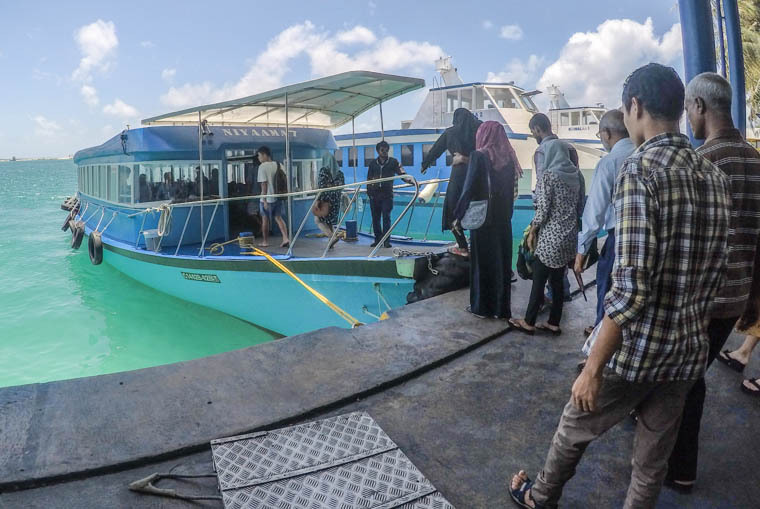 The ferry ride from Hulhumalé to Malé, and vice versa, is one of the cheapest and fuss-free ferry rides in Maldives. It costs just MVR 5.50 one way, and it departs every 15 minutes. The journey takes merely 20 minutes. Being the budget travellers we are, there ain’t a chance that we’ll pay for a walking tour in Malé. Instead, we built our own walking tour itinerary based on our research. I have plotted my version of Malé walking tour itinerary on Google Maps below, for easy reference. 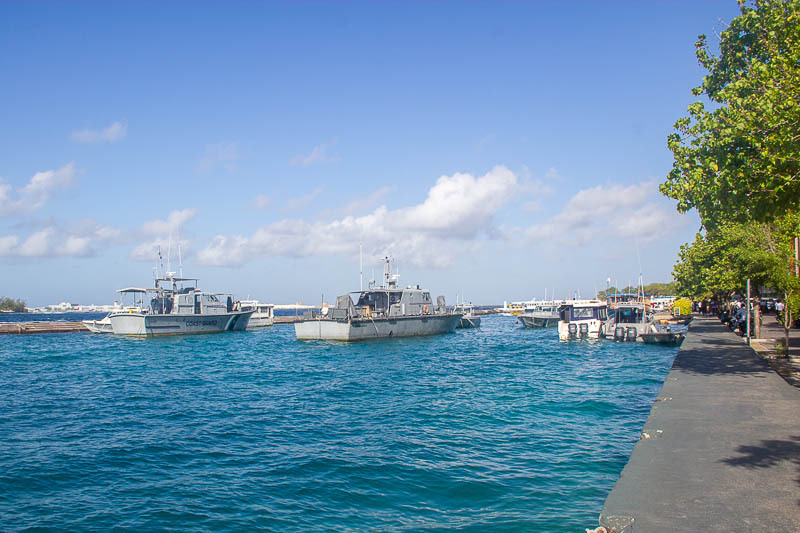 The itinerary starts from Hulhumalé ferry terminal in Malé and ends at the same location. PS: Click “more option” in the map to open the map in a new window. Hukuru Miskiy is also known as Old Friday Mosque. 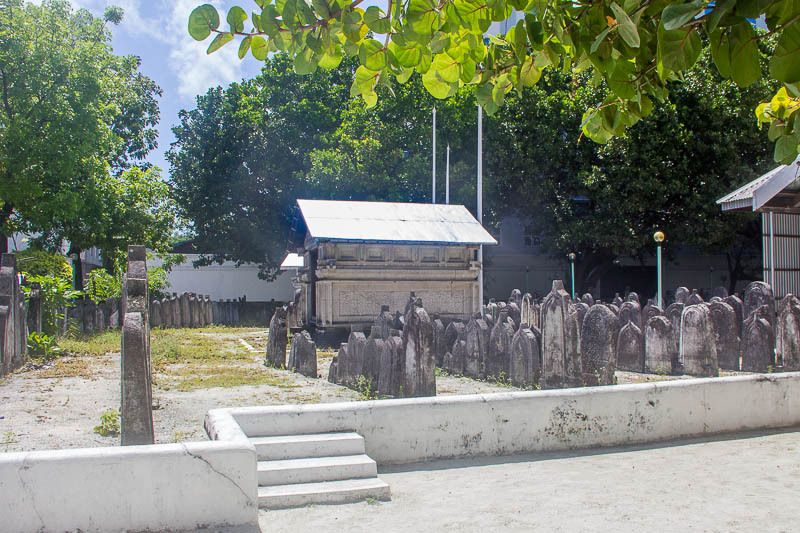 It is the oldest mosque in Maldives, dating back to 1650s. The mosque is open between 8:00-11:30, 13:30-15:00, 16:00-17:30 and 20:00-22:30. It’s closed on Fridays. 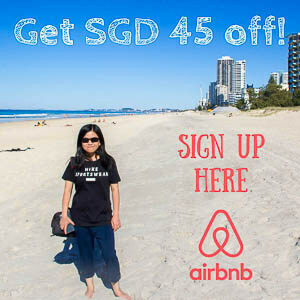 Visitors shouldn’t wear transparent clothing, shorts, skirts, sleeveless shirts, tight clothing. 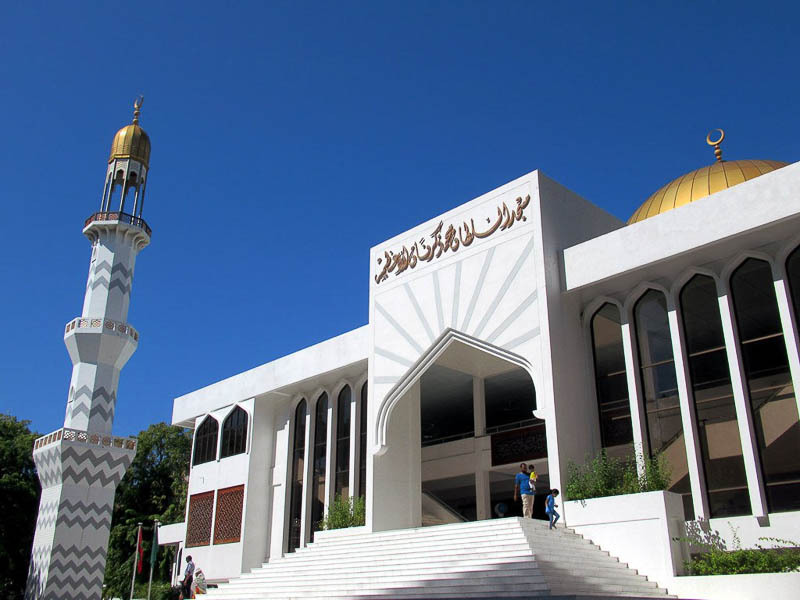 The Grand Friday Mosque is the largest mosque in Maldives. It is easily noticeable as it features bright golden dome and white marble exterior. Visitors can visit the mosque outside praying times, and must observe strict dress code similar to the one in Hukuru Miskiy above. Sultan Park is a public park located at the opposite of Islamic Center. It used to be a part of Sultan’s Palace (the place where King resides). The National Museum and National Library & Art Gallery are located just beside Sultan Park. 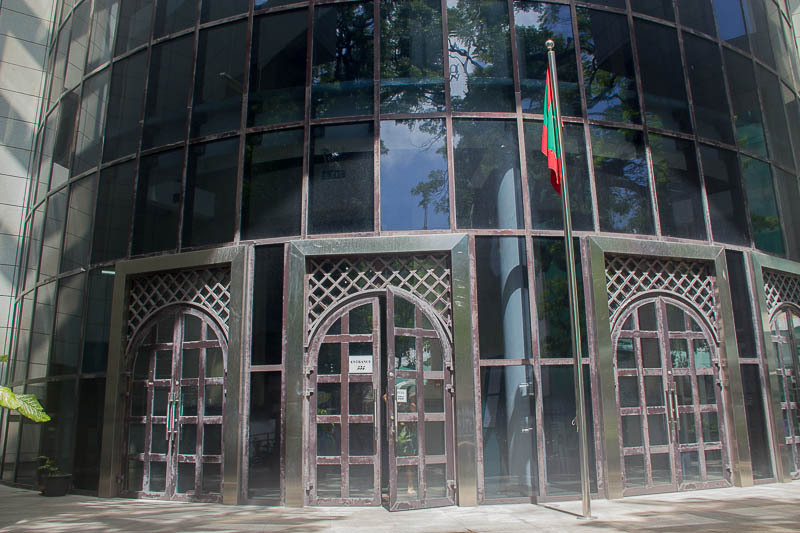 The National Museum houses collections of historic artefacts, such as model boats, household wares, carved woods, and items dating back to pre-Islamic days. Sadly, some of the most important artefacts, including ancient Buddha coral statues, were destroyed during protest in 2012. The museum is open from Saturday to Thursday, from 10am to 4pm. 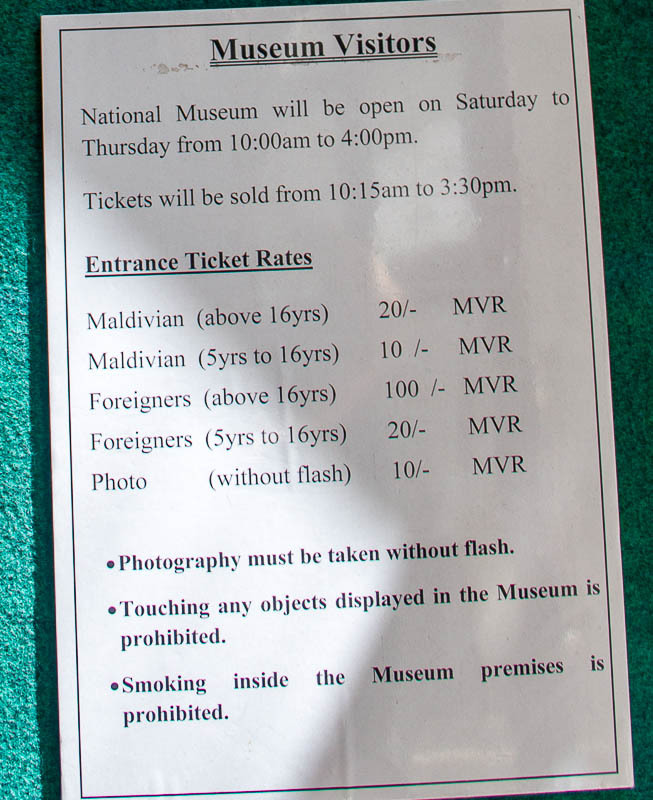 Ticket for tourist costs MVR 100/adult. We discovered Dhathuruveringe Market by accident, as it wasn’t widely written about on the internet. Basically, it’s a market where you can find local vegetables and fruits. 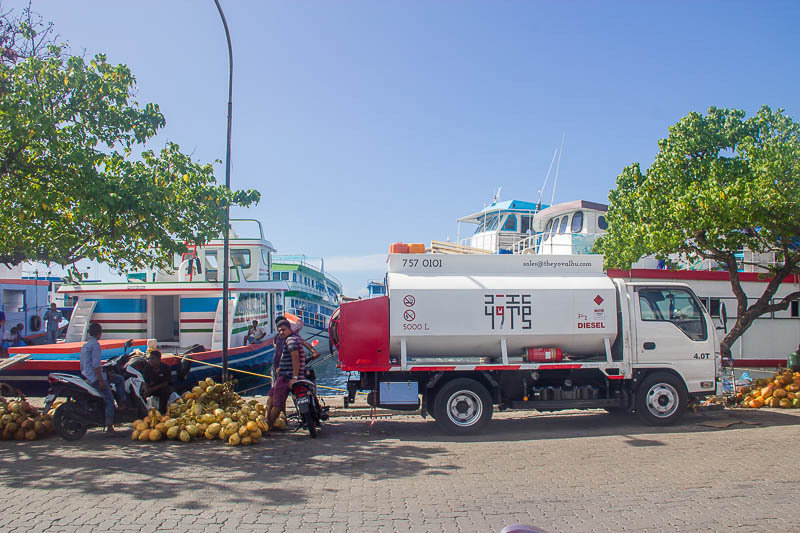 We bought coconuts for MVR 20/piece. 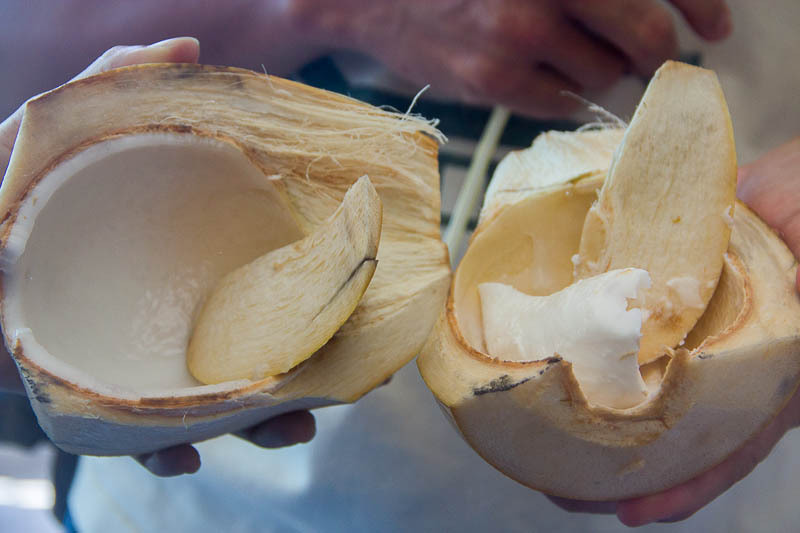 After we finished drinking the juice, the seller cut the coconut for us and made a makeshift spoon. 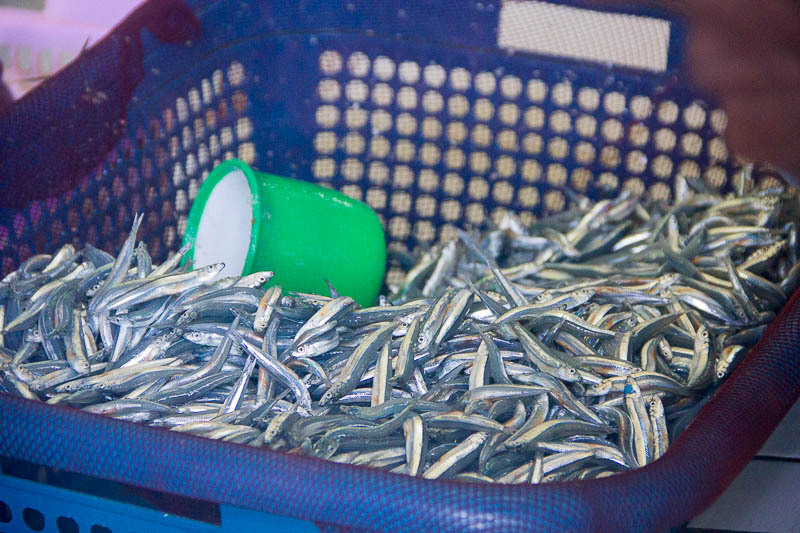 The strong smell shouldn’t deter you from visiting Fish Market in Malé, for it was fun and eye-opening to see various kinds of fish found in the water of Maldives. 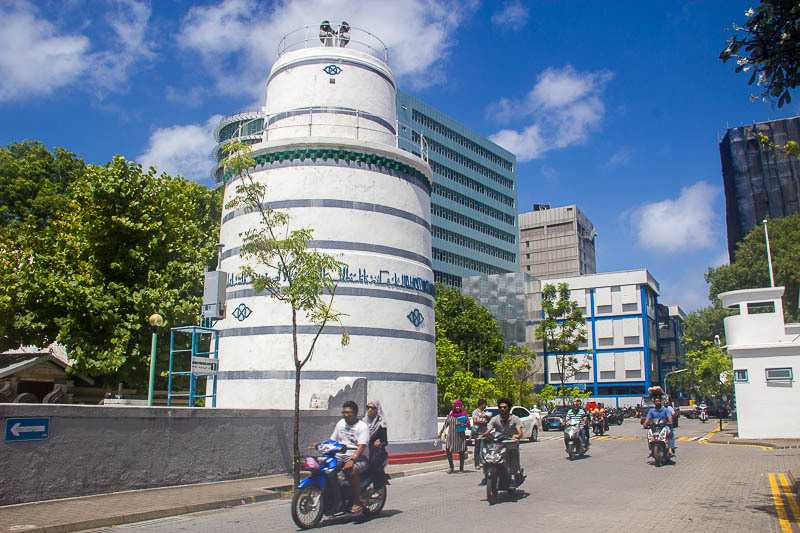 Republic Square, also known as Jumhooree Maidhaan, is a popular informal gathering place. 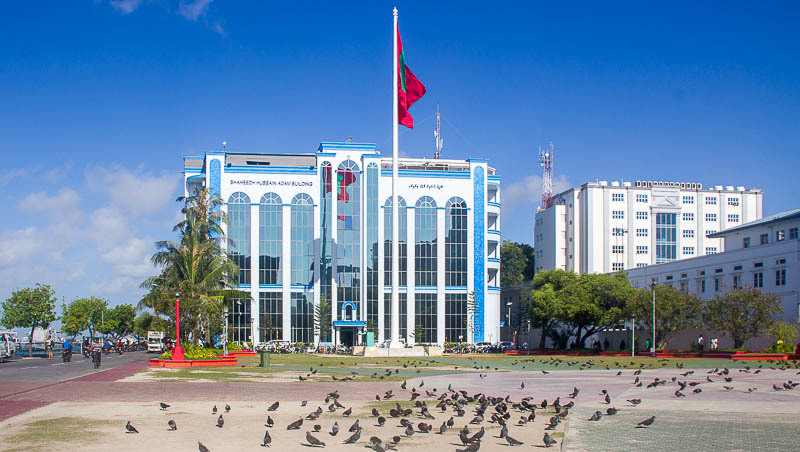 It is an open space with lots of birds and a flagpole with Maldivian flag. 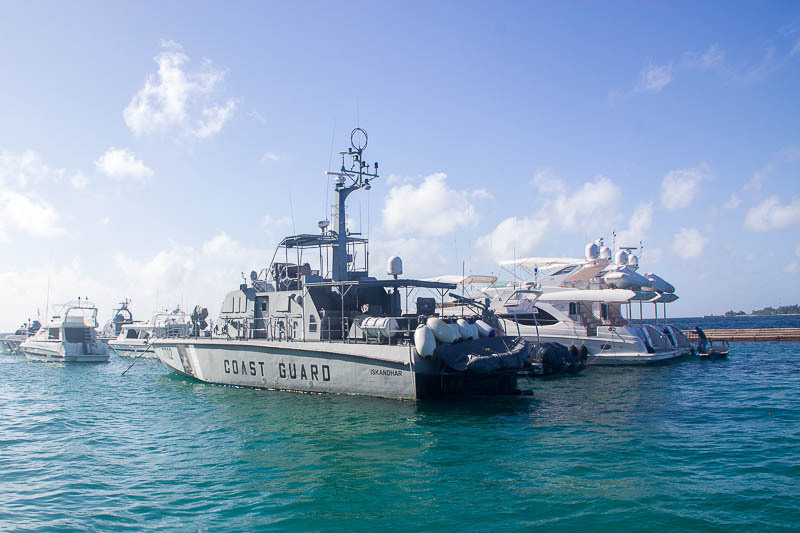 Walk along the jetty and you can see interesting fish in the water, coast guard ships, as well as chaos of ferry passengers boarding and alighting from the ferries. There was a man who tried to be our “tour guide” by walking along with us while telling us stories, but we ignored him and he finally went away. We walked along the jetty towards the east and found ourselves back at Hulhumalé ferry terminal. 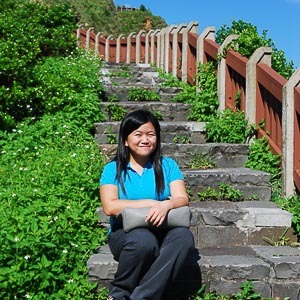 If you need to buy a souvenir or two, there are plenty of souvenir shops along the route of this walking tour itinerary. Just keep your eyes peeled, as some of them are located on the 2nd floor of a building. Is Male worth a visit? Thanks for your information! We are of the same mind when it comes to traveling!